The Colourpop Yes Please! Eyeshadow Palette ($16 at Colourpop.com) has restocked a few times now since its initial launch and I finally got my hands on one. The first time they sold out in a few minutes, so during the next wave I made sure to log in to my account on the site early and was ready the moment it went live. Good thing I did because it was gone again by the time I finished checking out. And good news! 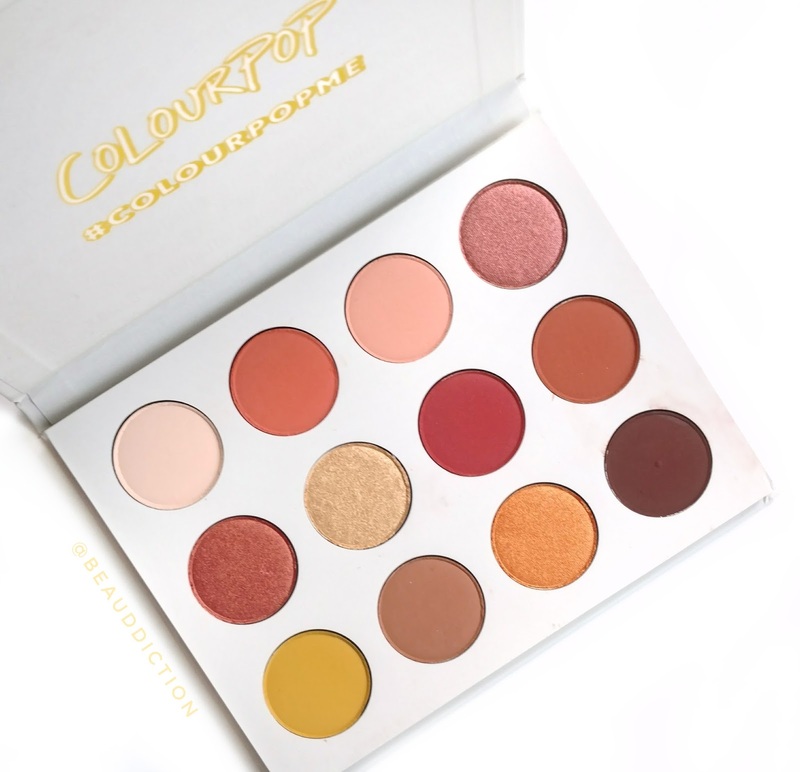 Colourpop is restocking it again today at 10am Pacific (1pm Eastern), so I thought this would be a good time to post my review in case you were interested in this one. The Yes Please! Palette comes packaged in a white cardboard palette with a yellow outer sleeve. It's very bare-bones and nothing fancy (no mirror or brush) but I would rather skip nice packaging if it keeps the cost low and the quality remains high. Inside, there are 12 warm-toned shades in both matte and metallic finishes. I'm really happy with the mattes they included because they make it easy to get complete looks with this palette. It has a matte ivory shade, and also a pretty peachy matte that's a perfect transition color. There's a nice mid-tone matte brown, and a deep chocolate brown matte as well which add some neutrals to the mix. It's made in the U.S.A. and holds 10.2 grams of product. For a $16 palette, these shadows pack some serious pigment! I was absolutely blown away by how they applied. For these swatches, I used a stencil and I only dipped my finger into each pan once and it filled in each star completely and opaquely. They blend beautifully on the eyes too! 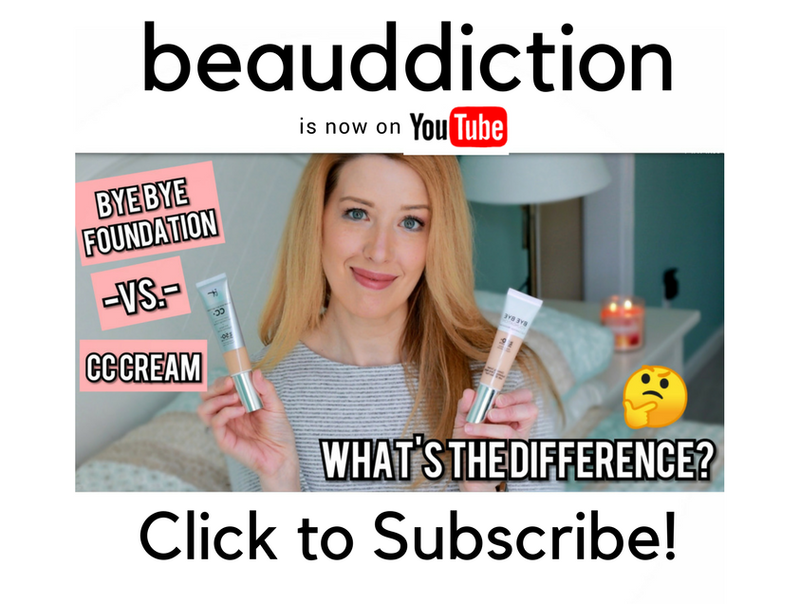 They do have a bit of kick-up because they're so soft and I recommend getting as little on the brush as possible and building the color up, otherwise you'll end up with too much color to blend out on your eyes. The only negative for me (which is kind of a silly thing, really) is that the white packaging gets dirty very quickly. My palette already looks like a mess inside because every time the powders kick up, they stain the white cardboard around the pans. 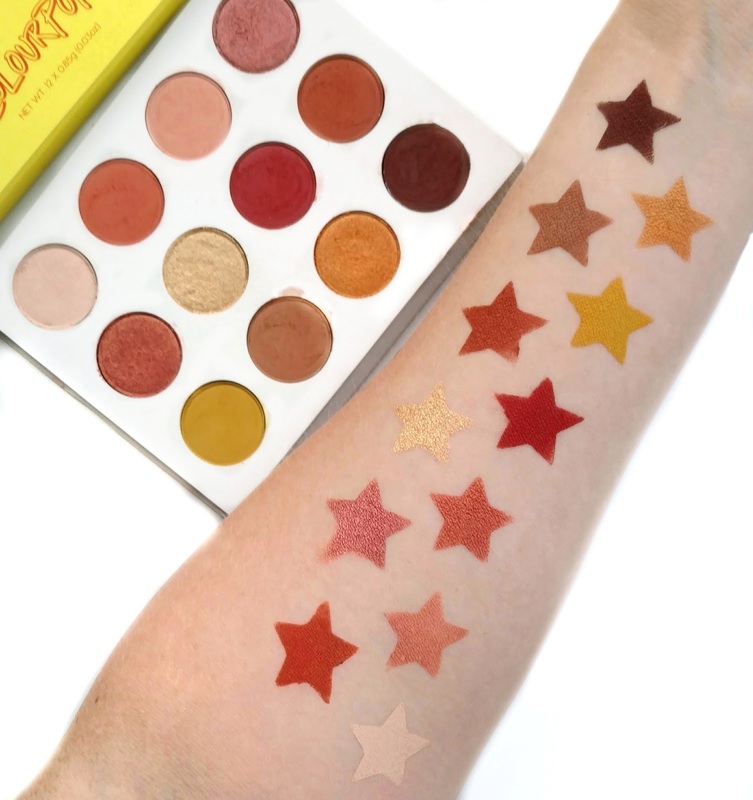 Overall, if warm-toned red, orange, coral, and gold/yellow are your colors, I highly recommend picking up the Colourpop Yes Please! Palette. It's an absolute steal and gives off serious Natasha Denona Sunset vibes. Grab yours today at Colourpop.com and don't wait because I'm sure it's going to sell out again very fast! FTC: This post is NOT sponsored. Product featured was purchased by me with my own money. Aw thank you so much! That's a shame that it costs too much to ship it...I totally understand. I always want to order from Makeup Revolution in the UK but I rarely do because of the international shipping. It's funny but the more affordable the product, the less I want to pay shipping on it! LOL. I got one FINALLY!!! Your swatches put me over the edge and I snuck into the bathroom at work with my phone and ordered one. I can't wait to get it in the mail, it should arrive any day now.